Play Club offers a great selection of online casino games, from the best casino games providers, including NetEnt, Microgaming, Play’n Go, Aspire Global, NYX Gaming and Evolution Gaming. The usability of the casino lobby is very user friendly, which includes a search function to find your favourite casino games. Play Club is available on desktop and all mobile devices. The Play Club customer support team is available 7 days a week from 06:00 GMT to 23:00 GMT, via chat, e-mail or phone. Customer satisfaction is the main focus for the customer support team at Play Club. The casino games at Play Club are powered by Aspire Global International LTD, which is a Maltese based company and fully licensed by Malta Gaming Authority under the following Gaming license (MGA/CL1/408/2007). In Great Britain only, the games on this website are operated by AG Communications Limited, which is licensed and regulated by the United Kingdom Gambling Commission (Remote Gaming License Number 000-039483-R-319409-001). 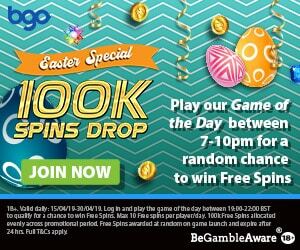 Play Club Welcome Offer: 100% up to £/€/$200 + 130 Extra Spins! Get an exclusive match deposit bonus when making your first deposit at Play Club of 100% up to £/€/$200 plus 50 extra spins on the popular Netent video slot Starburst. To claim your first deposit bonus, simply use the bonus code STAR50. Make your second deposit and get 40 extra spins. On the 3rd deposit you will get an additional 40 extra spins. To claim the welcome offer, a minimum deposit of £/€/$20 is required. The match deposit bonus and winnings from the extra spins must be wagered 40 times before cashing out. The extra spins must be used within 24 hours. Click here to claim your welcome offer at Play Club! Loyal players are highly rewarded at Play Club and can benefit from several offers. Earn points to get into a higher VIP level. Standard Earning Rate for new members; 1 Reward Point for every £/€/$40 wagered. To get into the bronze level simply earn 10 reward points. From the bronze level onward players will receive the Sunday Free Play bonus. Platinum, Premium and Prestige VIP players are assigned a Personal Account Manager and can benefit from Higher Deposits and Cash Out limits, VIP LIVE Tournaments, Cashback offers, Express payout service and several other Personalised Offers! Play Club offers a wide selection of deposits and withdrawal options, including Neteller, Skrill, Paysafe card, Sofort, Bank Transfer, Trustly, Giropay, Zimpler, Visa, Mastercard, Entropay, Instadebit, Euteller, Bancontact Mister Cash and EPS. All transactions are processed in a safe environment, secured by the best encryption technology. Players can find a vast selection of online casino games, live casino tables for players that appreciates real casino thrill and scratch cards. Some of the most popular games at Play Club are Starburst, Gonzo’s Quest, Sizzling Spins, Jungle Jim, Immersive Roulette and more…. AFGHANISTAN, ANTIGUA AND BARBUDA, BELGIUM, SWEDEN, BULGARIA, CANADA, CHINA, CUBA, CYPRUS, DENMARK, ESTONIA, PORTUGAL, FRANCE AND IT’S TERRITORIES, HONG KONG, IRAN, IRAQ, ISRAEL, KAHNAWAKE, LIBYA, MACAU, NETHERLANDS ANTILLES, REPUBLIC OF SERBIA, SPAIN, SUDAN, SYRIA, THE PHILIPPINES, TURKEY, USA AND ITS TERRITORIES.